THE PROBLEMThe United States is currently experiencing the highest rate of mass shootings in history; each year in our country there are over 100 million emergency room visits, over 10 million car accidents, and over 2 million home invasions. Yet in these life threatening situations we rely on an outdated and unreliable copper-wire public switched telephone system. Over 250 million 911 calls – 70%+ from mobile and growing – overwhelm this obsolete infrastructure annually, causing significant communication lapses: 50% of mobile 911 calls suffer from inaccurate location data, and in the state of California, for example, 26% of mobile 911 callers hang up their call when they are unable to get through the system.THE COMPANYWe live in the 21st Century and it’s time we have a 21st Century solution for mission critical emergency situations. RapidSOS is engineering a cloud telecommunications and predictive analytics platform that will transform emergency communications RapidSOS runs several discrete applications off of this technology platform. –	One-Touch-911 – The RapidSOS One-Touch-911 application enables smartphone users to transmit all the key information that dispatchers need to respond to an emergency within three seconds while providing enhanced tools for dispatchers and significantly increasing the fidelity of information transmitted.-	GeoAlert – The RapidSOS GeoAlert allows institutional customers to deliver dynamic messages to people directly in harm’s way based on their location. –	Predictive Analytics – The RapidSOS Predictive Analytics package allows emergency management officials and law enforcement to anticipate incidents and respond preemptively based on hundreds of variables.-	Emergency Modeling – RapidSOS’ Emergency Modeling package allows emergency management officials to understand how information and people move and react in emergencies—allowing the creation of finely tuned and predictive response plans.RapidSOS’ technology was developed in conversation and collaboration with hundreds of technical experts across the emergency communication space, including over five dozen PSAPs (emergency dispatch centers) and system integrators. THE TEAMRapidSOS is led by a team of entrepreneurs, engineers, and venture capitalists with significant start-up experience. The team, from MIT, Harvard, Yale, and Columbia, has collectively helped commercialize over 70 start-up companies, developed mission critical code at two national labs, and developed front-end and back-end systems for several tech start-ups. Motivated by personal experiences with America’s failing emergency communication system, the team is committed to transforming emergency communication. 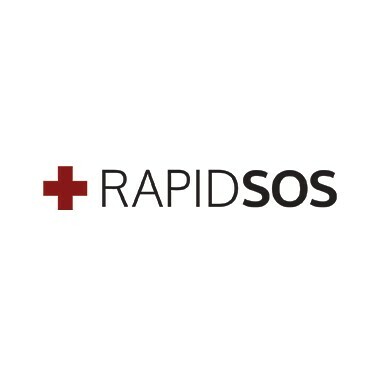 RapidSOS’ core team is supported by a network of advisors and consultants across the telecom, emergency dispatch, university, municipality, and corporate sectors.